Tucson is well known for its vivid and spectacular sunsets. 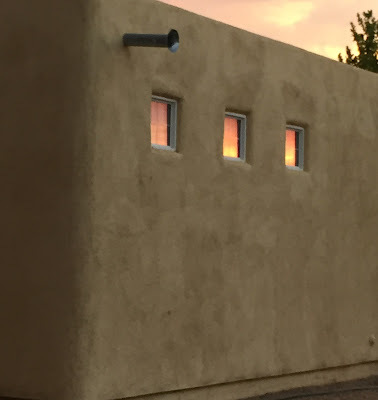 Here I was struck with how much a sunset that is reflected on these windows looks like an actual fire burning inside. The tangerine and neon yellow coloration is gorgeous!